ROCKINGHAM — Robert Berry was livid. He was recently on a social media forum when a “friend” within cyberspace made clear her opinion on special needs children: Drown ’em all, she wrote for the world to see. Berry’s 9-year-old son Thomas has a laundry list of medical conditions, but he wouldn’t give him up for anything. Since fighting for custody of Thomas when he was 18 months old, he’s done nothing but love the boy who suffers from multiple seizure disorders, OCD, ADHD and more. 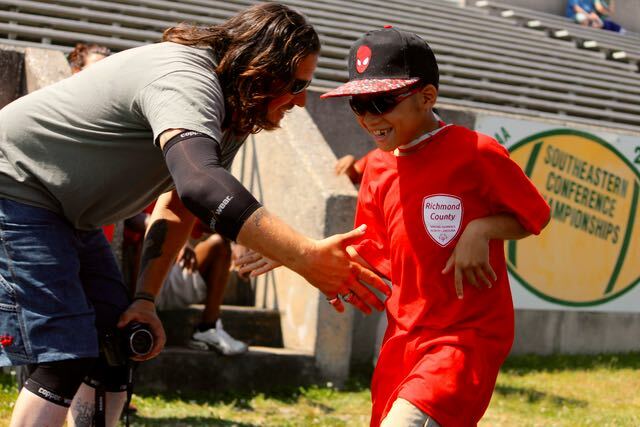 Robert Berry greets his son, Thomas, at the finish line of the 50-meter dash on Monday at the annual Richmond County Special Olympics event. So when one person’s revolting idea of what to do with people like Thomas popped up on his Facebook wall — and how “normal adults” like Berry were wasting their time with kids like Thomas — Berry was quick to begin weighing in with his 10 cents. “I lost my religion,” Berry said of eliminating the niceties in his reply. “I let her have it” before blocking the individual from any future contact on Facebook. Berry stood at the finish line of the 50-meter spring on the Richmond Senior High School track inside Raider Stadium on Monday morning for the annual Richmond County Special Olympics, which tested nearly 100 athletes of all ages in running, throwing and jumping. Berry said he grew up with people like Thomas and others who suffered from a multitude of ailments. And on days like Monday, when their talents, desires and abilities are showcased for the world to see, he questioned how anyone could possibly contemplate such an idea. Make no mistake, Berry said: Caring for a special needs child isn’t easy, but the joys and rewards far outweigh any costs and sacrifices. 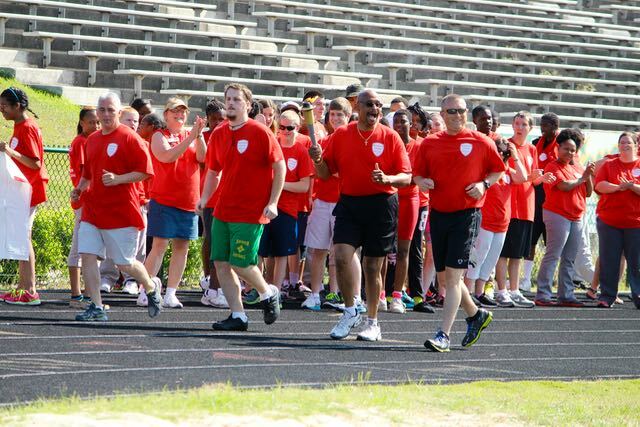 From left to right, Jason Graham, Special Olympics athlete Daniel Skipper, Richmond County Sheriff James Clemmons Jr. and Sgt. N.L. Forrester complete the 400-meter torch run around the track at Raider Stadium. 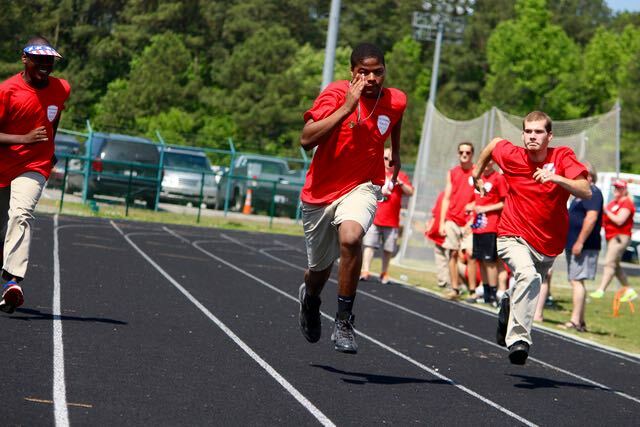 “Run to me,” Berry shouted from the finish line area when Thomas lined up alongside his competitors. “He didn’t hear me,” Berry said. That was just fine, because within a handful of seconds Thomas was running past his father and on to the medal stand at about the 20-yard line. Dr. Cindy Goodman, superintendent of Richmond County Schools, welcomed the athletes, coaches, spectators and volunteers from Temple Christian Academy, Richmond County Schools and the Richmond County Department of Social Services, as well as the spectators for “what we think is the 14th running” of Richmond County Special Olympics. 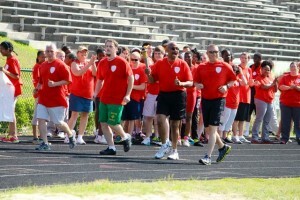 Richmond County Sheriff James Clemmons was joined by Special Olympics athlete Daniel Skipper, Sgt. N.L. Forrester and Jason Graham, of the county Probation and Parole Office, for the 400-meter torch run. Afterwards, the foursome settled in at the front of the line for the Parade of Athletes from L.J. Bell Elementary School, the Cordova School, Washington Street Elementary School, Rohanen Middle School and community adult centers including Charlotte Street and Mallard Lane, as well as Richmond Senior High School. The parade was led by Richmond Senior’s JROTC Color Guard. Malik Wall lets it go in the softball throw. His throw exceeded 175 feet. Elizabeth “Lisa” Horner, niece to Buddy Roe, led the crowd in the Pledge of Allegiance. 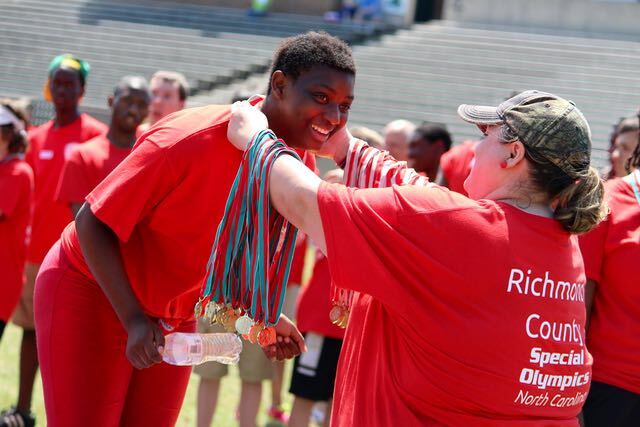 Organizers of Buddy Roe’s Ride for the Richmond County Special Olympics netted $4,077 this year and likely more as T-shirt sales revenue is finalized. Anne Gillespie read the Oath of Athletes, reminding them sportsmanship was paramount, and the gams began. Ron Geanes, a Continuing Education teacher at Richmond Senior High School, encouraged and coached his athletes through the softball throw. Some heard Geanes and chose not to listen to his advice. Others didn’t question it. “To to hit me,” Geanes challenged RSHS senior Maddie Edmonds. “Okay,” responded Edmonds, who came close to doing so. 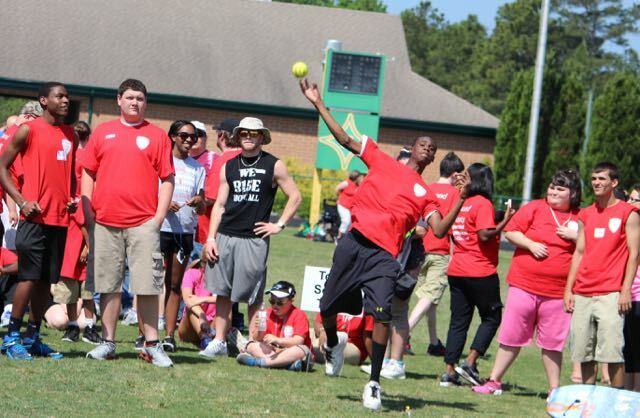 Precious Ware stood tall in her heat of the softball throw. Local law enforcement officers helped to prepare the post-Special Olympics food on the grill, including hamburgers and hot dogs. It was a dry run of sorts for Theressa Smith. As Cathy Hoggard left for Greensboro just before the start of Tuesday’s events — she was there for the entire preparation — Hoggard turned over the title of local coordinator to Smith, who joined the steering committee only three months ago. Hoggard and her family are relocating to Chowan County. Alexis Sabin, Patty Seagraves, Mirah Sinclair, Daniel Skipper, Alyah Smith, Michael Smith, Justyce Stephenson, Andrea Surgeon, Devonio Tender, Eric Terry, Matthew Terry, Jacony Travers, Casquel Tyler, Ranesha Waddell, Clay Wagers, Keith Wall, Malik Wall, Rodney Ward, Precious Ware, Calvon Watkins, Caleb Williams, Kendrae Williams, A.J. Wilson and Maria Zimmerman.